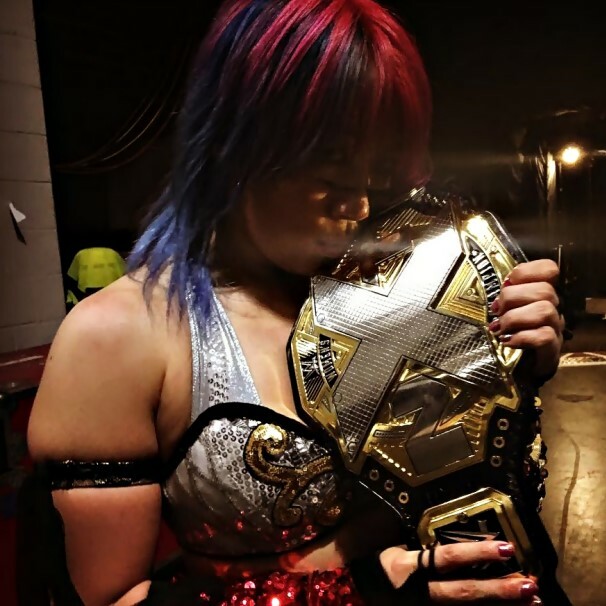 As seen at the WWE NXT TV tapings last week, undefeated NXT Women’s Champion Asuka relinquished the title as she plans to pursue other options in WWE. Asuka also suffered an injury at WWE NXT Takeover Brooklyn in her match against Ember Moon, and the injury will keep Asuka out of the ring for about 6-8 weeks. According to Billi Bhatti of DirtySheets.net, Triple H plans to replicate Asuka’s undefeated streak on the main roster, and she is expected to debut on the Raw brand. Current plans, which could all change if Vince McMahon decides otherwise, call for Asuka to win the Raw Women’s Championship upon debuting on Raw, and continue her historic win streak on the main roster.